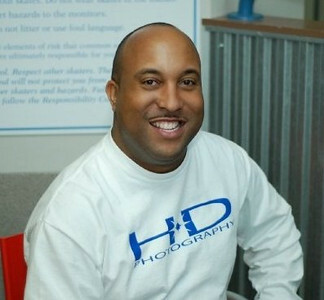 My name is Darnell Marbury and I am the owner and lead photographer of HD Photography, formerly known as Digital Sharp Shooters. My passion for photography started when I purchased my first sports car, a 1987 IROC-Z28 Camaro. I would always find time to wash and wax my car, park on the Village Green with several friends in Indian Head and burn up 2 or 3 rolls of film just snapping photos of that beautiful car. I learned that with every photo I took, the shots got better and better. Several years later came the age of digital photography and that really got me hooked. My best friend saw photos that I took and asked me to take photos at his wedding. I didn’t know if I was ready to tackle such a task but I did and I haven’t looked back since. That was the start of Digital Sharp Shooters in 1999. Digital Sharp Shooters later became known as HD Photography.We have grown tremendously over the past few years. New computers, new printers, new cameras, new staff, and a new attitude! We cover all of your photography needs such as Weddings, Engagements, Family Portraits, Senior Portraits, Sport Events, Corporate Events, Community Events, Birthday Parties, Holiday Parties, Bah Mitzvahs and Bat Mitzvahs. We offer on location printing and sales at most events. We make your special day fun and full of laughter but at the same time we operate on a professional level every time. HD Photography now offers you to the opportunity to do your photo shoots in a state of the art studio! No need to wait for perfect weather to get your portrait needs taken care of. This studio has everything you need for a successful shoot, including various backdrops, props, professional hair stylist and makeup artist . Details available upon request. Portrait pricing starts at $350.00. Packages are specific to your needs and expectations so pricing will not be the same for all customers. For this reason, we ask that you provide as many details as possible about your requirements for your portrait session. Once the shoot is complete, all photos will be added to a password protected proof gallery that will contain low resolution images. Do not order any images from this gallery. Once you pick the photos that you wish to have touched up & edited, the high resolution edited images will be reloaded to a public gallery for ordering. This gallery can also be password protected upon request. Wedding packages are specific to your needs and expectations so pricing will not be the same for all customers. For this reason, we ask that you provide as many details as possible about your requirements for your special day. This price also includes travel, within 50 miles of Indian Head, MD and the post processing of the images. **We now offer HD Video Packages along with your photos. Please call for details. Special event pricing starts at $250.00 per hour for the first 2 hours and $175.00 per hour after that. There is a 2 hour minimum requirement to book all special events. All photos will be delivered on CD/DVD Media or Flash Drive in High Resolution.